Are you planning to travel the Highlands of Iceland? 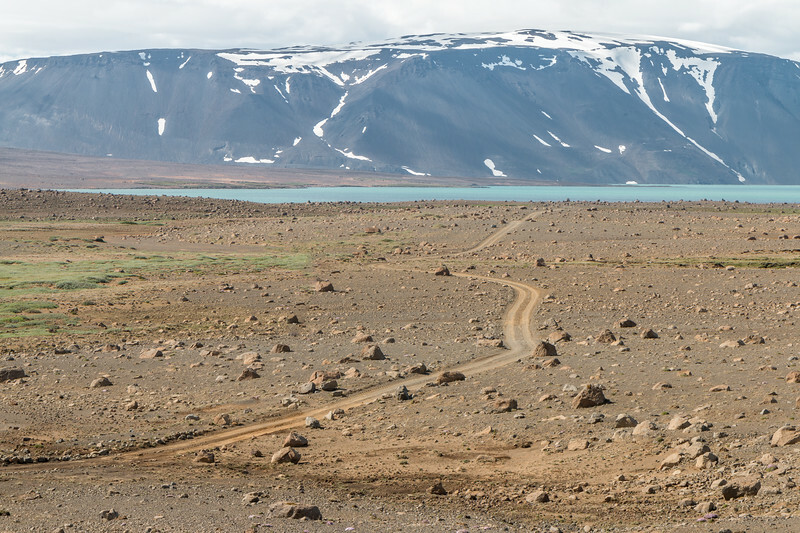 Let us tell you more about Kjölur route, one of the most easily accessible routes you can take to reach the spectacular and very remote interior of the country in order to witness some impressive landscapes and unique places. Plus, it’s great for hiking and photography! Kjölur route, known as Route 35 (formerly as F35) and also Kjalvegur, connects the south and the north of the country, starting at the popular Gullfoss waterfall all the way to Blönduós. 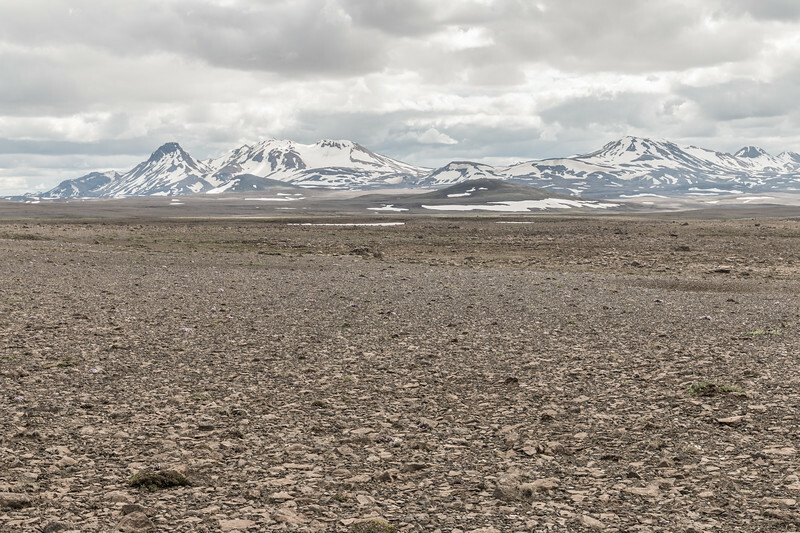 Throughout this route, you cross the barren Kjölur plateau which stands at over 600 m of altitude flanked by two glaciers, Langjökull and Hofsjökull. If you like scenic drives, then this route is definitely for you. 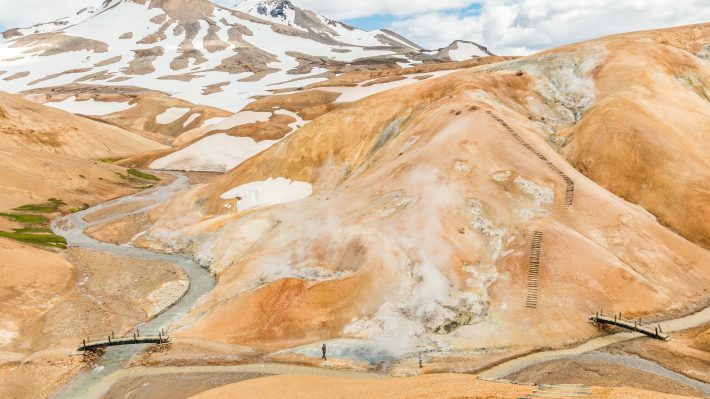 There are plenty of good reasons to cross the country using Kjölur route and two mandatory stops are Hveravellir, a set of hot springs and other geothermal features, and Kerlingarfjöll, a beautiful and colorful rhyolite mountain range of volcanic origin. Access to Kjölur is seasonal and you can only do it in the summer months. Don’t worry, we have a section with all the information you need to tackle this Highland route. The first place worth stopping after Gullfoss waterfall is Hvítárvatn, a lake fed by nearby Langjökull glacier. You can see it from the main road or take a small detour to get closer to it. 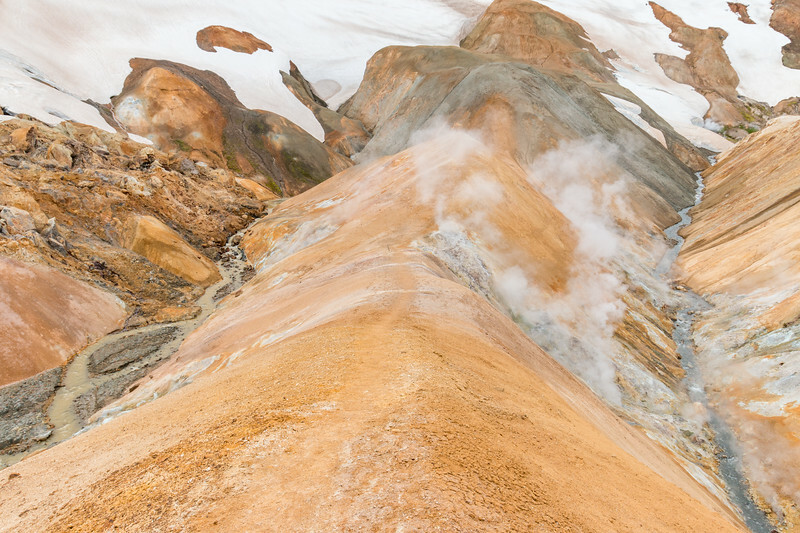 When we first found out about and saw pictures of Kerlingarfjöll, we knew this was a place we wanted to visit. 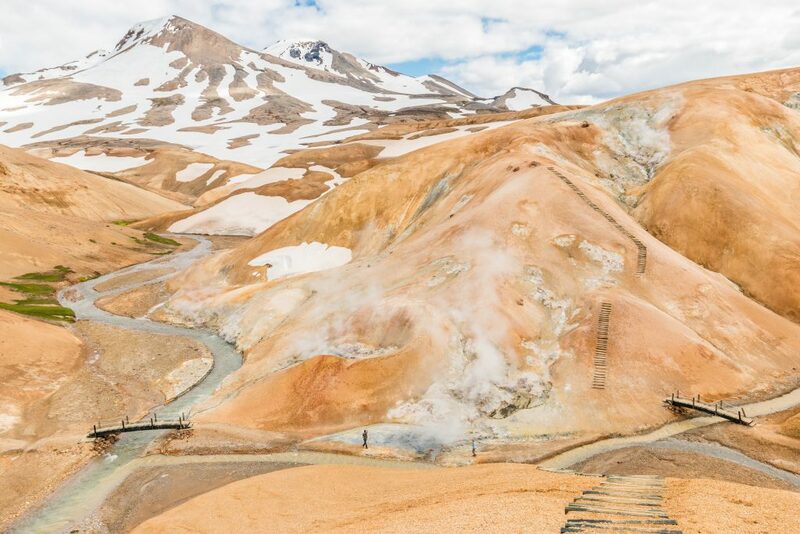 A geothermally active volcanic mountain range where the colors of the rhyolite slopes change with the light, providing one of the most visually appealing places you’ll ever see. All of this, dotted with fumaroles and patches of snow. Excited? 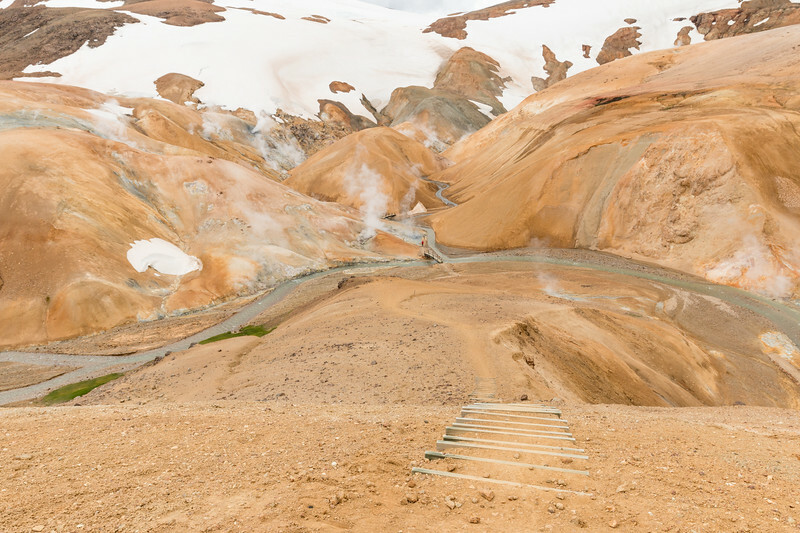 There are lots of things to explore at Kerlingarfjöll that could keep you busy for days, including many hiking routes, but for the scope of this article, we’re focusing on a short stop while driving Kjölur route. If you want to stay longer, there are huts and a campsite. With only a few hours to spare, Hveradalir, or the valley of the hot springs, is the place to go. Stunning is the best word to describe it and you can either walk from the campsite or drive up the mountain and park above it. The best thing to do is to explore the different paths in the valley, up and down the hills in order to admire the incredible landscape. To access Kerlingarfjöll you need to exit the main road and take a detour onto Route F347, now with no rivers to cross. 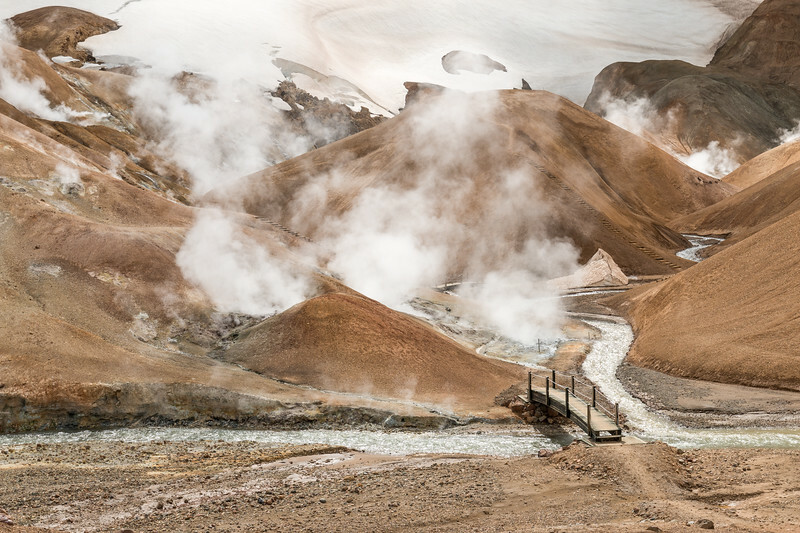 This area reminds us of Landmannalaugar, another equally impressive Highland destination in Iceland with similar features yet distinct. Hveravellir is like an oasis in the middle of such a desolate landscape. 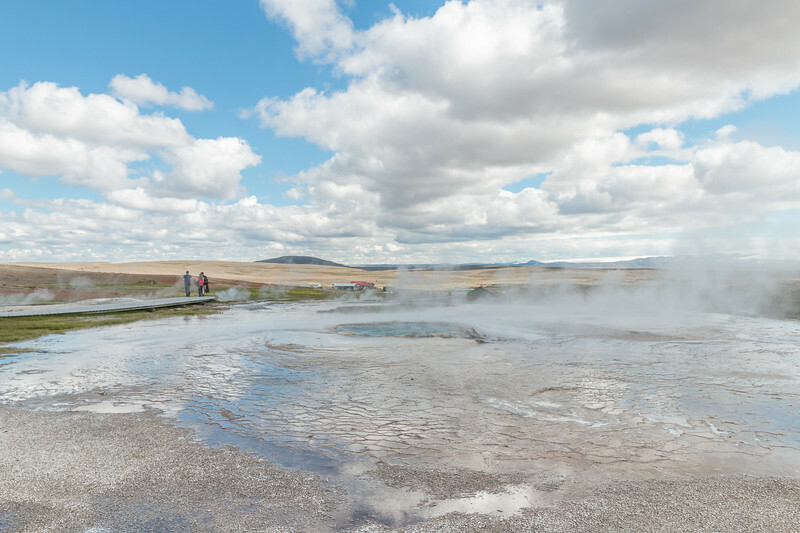 Hot springs, fumaroles, bubbling water holes, and a hot pool are the highlights of this geothermal park which can comfortably be explored on foot in an hour or so. A set of boardwalks are in place to protect the place and you must use them, otherwise, you can damage the fragile environment and also get seriously injured. 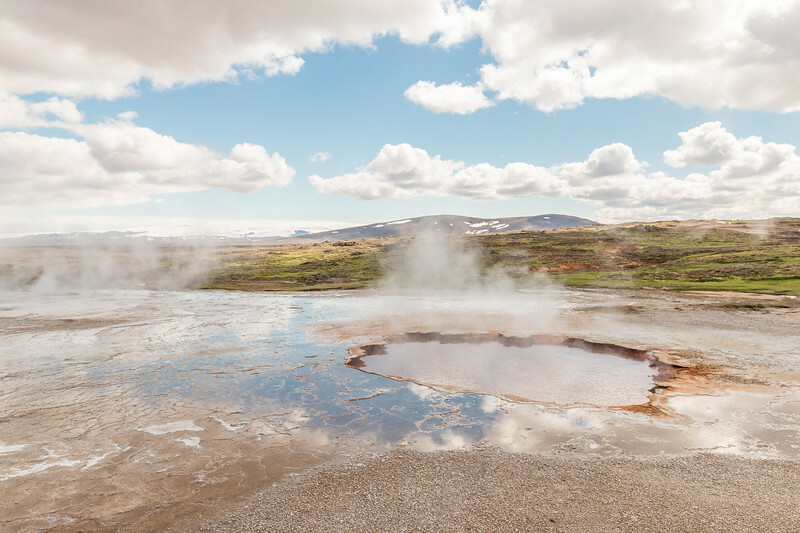 Admiring these geothermal features from a close distance is a great experience. One of the highlights is the geothermal hot pool that everyone seems to want to try. It’s not very big but it can cope with 10+ people at the same time. Another good option is a short hike to explore the nearby Kjalhraun lava field. 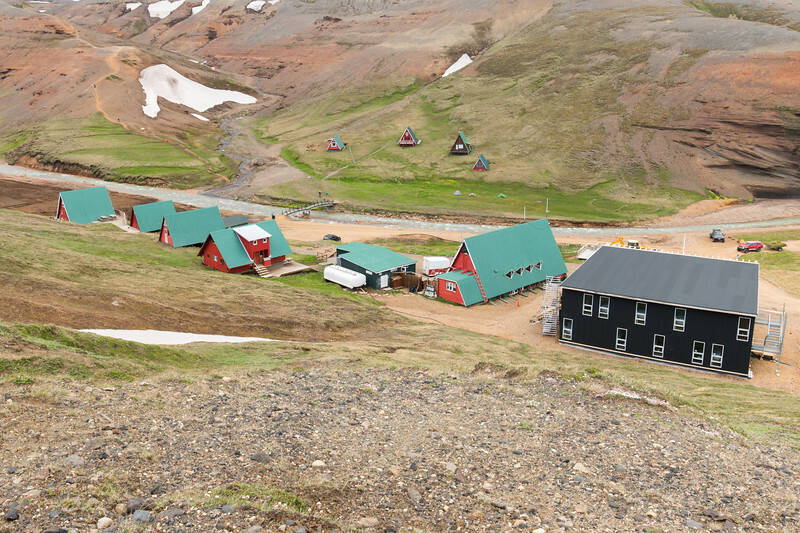 Hveravellir is only a short 2 km detour on Route F735 from the main road where you can find the parking lot and some facilities, including accommodation in mountain huts and camping and a cafe. 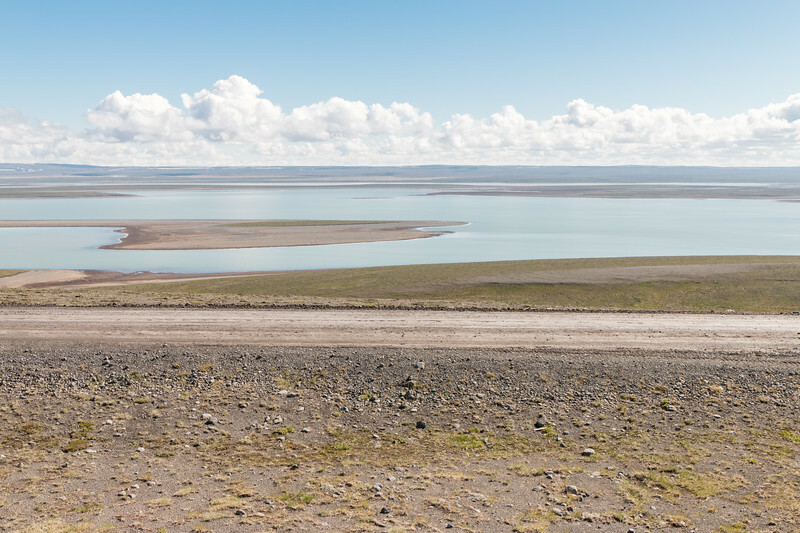 At the northern end of Kjölur, there is a large lake that makes for an ideal final stop on the route. The 5 km2 Blöndulón is a reservoir for the nearby hydroelectric power plant and a beautiful sight, particularly on a day with clear skies due to its striking light blue color. Watch out for the midges! They are a pain and even taking a picture can be difficult at times. Ready to go? Driving the almost 200 km of Kjölur route is usually at least a half a day affair but it tends to last a full day, especially if you’re taking your time to enjoy the scenery and stopping at Hveravellir and Kerlingarfjöll. You’ll see Kjölur route often still referred to as Route F35 and not just as 35. This is due to historical reasons, to distinguish it from the rest of the southern part of Route 35 when it had unbridged rivers and was less maintained and thus more challenging. You can check the official road network here. Planning is essential as this itinerary can only be done in the Summer months. The average opening date is mid-June and it usually lasts well into September. As always, check road conditions before attempting to drive this route. There are special winter tours to Hveravellir and Kerlingarfjöll. Overall, this is a relatively straightforward route with no rivers to cross (even to Kerlingarfjöll) or other major difficulties. Despite this, you’ll be driving a very remote part of the country on a rough gravel road that is not suitable for smaller city cars. Although the conditions may vary, a regular 4×4, SUV or more robust car is recommended. Make sure your rental company approves it. Last but not least, if you’re looking for a guide with literally everything about driving in Iceland, we’ve got you covered. Read all about driving in Iceland. Planning to travel the Highlands of Iceland and Kjölur route? Let us know in the comments below! Kerlingarfjöll looks absolutely stunning. Hoping to head to Iceland next year but I can’t drive! We’ll have to find alternative routes. Who knows, maybe we’ll be driving then? 😉 Can’t wait to see all these beautiful places! Oh no. You need to learn how to drive! I took organized day trips when I was in Iceland but would definitely rent a car in the future. Kerlingarfjöll looks amazing! This is quite an in-depth guide for traveling within Iceland’s highlands. Great tip about getting a 4×4 powerful car. Great shots, really cool to see all the geo-thermal activity. Can’t wait to visit Iceland at some point soon!! Amazing!! Looks so unreal, like it’s from another planet not from Earth. I hope I can visit Iceland soon! This route sounds awesome! I bet it must look magical in winter, covered in snow (especially those cute red and green huts!). I would love to try the hot thermal baths. Do they smell like sulphur? Winter should be incredible out there. Not very smelly, no. 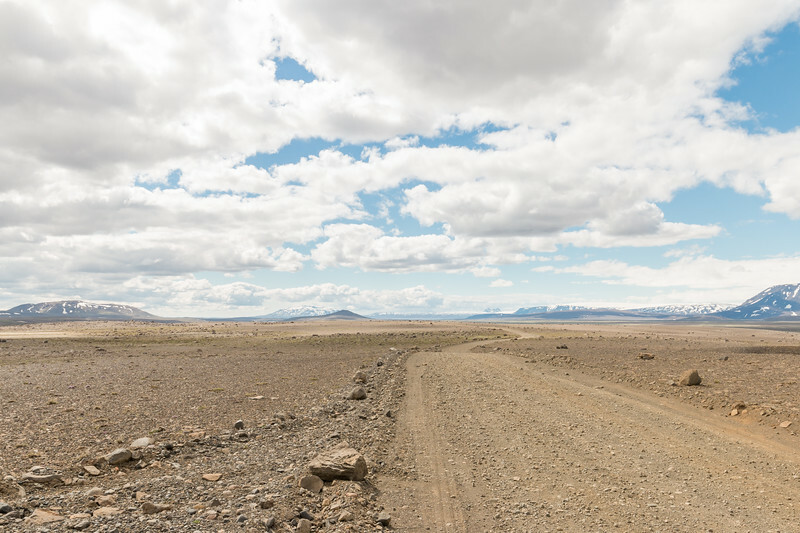 We love road trips and these landscapes have already left me craving for a drive. Stunning is the perfect word for these awesome amaing landscapes. Iceland was already on our list but now adding kjolur specifically. Amazing pictures. Loved it. Iceland is perfect for a road trip! You should travel to Iceland! I could read this post over and over again. The pictures are just so beautiful! Loved them! Makes me want to travel to Iceland! I have heard so much about the country’s picturesque landscapes. From glaciers to mointains to volcanoes to caves. Amazing guys! 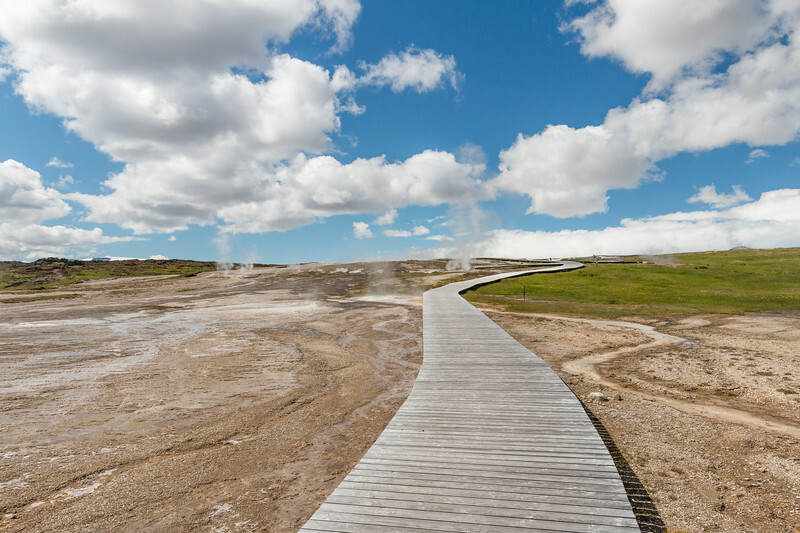 Iceland looks so unique, it has landscapes that can’t be found anywhere else in the world – I was lucky enough to experience geothermal activity too in New Zealand and found it absolutely fascinating. It was so mesmerising seeing the way the steam rose off the rocks like clouds. I love your pictures! This route is so picturesque!